For those of you that don’t know Devan, he’s been the Head of Hockey Performance at UMass Lowell for the last 7 years. The impact he’s had on that program is evident not only through the success of the team during his tenure (5 Hockey East Championship Appearances, 3 Hockey East Championships, 5 trips to the NCAA tournament with an appearance to the Regional Final in all 5 with one Frozen Four appearance), but also by the number of players that have developed into professional hockey players (25 players have turned pro, and the most undrafted players to play in the NHL of any NCAA program in the country over the last 7 years). Devan is one of my most trusted resources within the field because he’s constantly trying to push his programming to the next level. Over the last year, he’s developed a cost-effective jump testing system that allows him to gain diagnostic insight into one of the most important areas of his player’s physical development. Most importantly, he’s using this assessment to directly influence his programming to deliver better outcomes. This is what makes Intent such a great resource. 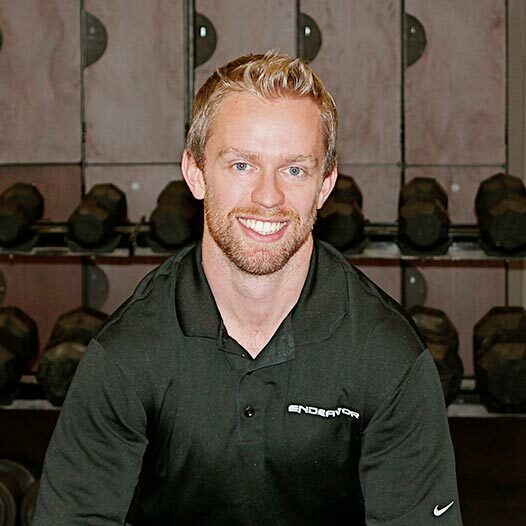 In each area of performance or wellness monitoring, Devan and his co-author Justin Roethingshoefer start with the end in mind. In other words, they start with the questions, “What information do I need to collect to improve our training outcomes and game-day readiness?” and “How can I use this information to positively impact our players’ development?” They address these questions while outlining resources that can fit within ANY budget. In this article, I asked Devan to share information about his jump profiling system with you because I know it has had a profoundly positive impact on his players’ results, and it can do the same for you. Enjoy. Training athletes at the highest level is about more than doing work for work’s sake. Working hard is always a prerequisite, but working smart needs to be prioritized as well. It’s important to identify strengths and weaknesses in an effort to pinpoint specific qualities that can either lead to or keep an athlete from attaining his or her optimal performance. This is key in terms of making the best use of an athlete’s time in the weight room to get the best return on their training investment. One of the strategies I use to both gain insight into my athlete’s physiological strengths and weaknesses, as well to design individualized training programs within the team environment is jump profiling. A jump testing profile is a way to get a better picture on how an athlete develops force. The Vertical Jump has long been an indicator of power output…a simple and fairly accurate portrayal of an athlete’s ability to create force. In general terms, the higher one can jump, the faster they can skate. Movement is basic physics…to propel one’s body forward (or up, in the case of a vertical jump), one has to apply force into the ground. The harder and faster one can push away from the ground, the further they are going to move and the faster they will go from A to B. Sprinting, whether on land or on ice, is directly related to how much force an athlete can generate and apply to the ground in a horizontal fashion. Jumping is the same, except that the force applied to the ground is in the vertical direction. Therefore, strength and conditioning coaches have long extrapolated vertical jump height to sprinting speed. While this is all fine and good, the reality is that different athletes with identical vertical jump heights may have different strategies with which to accomplish that task. In addition, those different strategies will have an impact on skating speed in different ways. 38.1″ vertical jump (in the middle of his junior season). Up from 34.5″ at pre-season and 29.3″ his freshman year. For example, player A may reach a vertical jump height of 30” utilizing the stretch shortening cycle to produce the necessary force. Player B may also reach the same 30” benchmark, but will produce force much more muscularly. Neither of these strategies is right or wrong, just different. But by developing a jump profile, we are able to better understand what qualities they have, and what qualities they need to improve, beyond simply trying to “jump higher”. Player A, who relies on the stretch shortening cycle to create force, is said to be very “elastic”. Picture a well-inflated basketball bouncing…. there is springiness in their stride. Player B doesn’t have that bouncy quality, but they have more push on each stride. How they skate, and whether they possess a great first stride or high top-end velocity will probably be different, due to their specific force-generation abilities. The elastic player is more likely to have short, choppy strides in an unconscious attempt to utilize the stretch shortening cycle (which by the way, has much less influence on sprinting speed on ice than it does on land, due to the longer contact times of the blade with the ice, compared to the shoe on the ground with sprinting). On the other hand, player B probably has a very powerful first couple of strides, covering a lot of ice in just a few pushes. This is because they are more adept at overcoming inertia from a dead stop, which is largely influenced by muscular strength. If we know where each of these athletes lie from a force application standpoint, we can tailor some of their training to improve their weak link. In order to assess the athletes’ profile, we utilize several different vertical jump variations designed to tease out their relative strengths and weaknesses while producing force. The baseline variation is the simple Counter Movement Jump. This is the typical vertical jump variation, with a down-up counter movement and full arm swing. The counter movement in this instance would be considered a “slow stretch shortening cycle”, in that is still takes advantage of elastic energy to increase power output, but not to the same degree as the next jump variation. 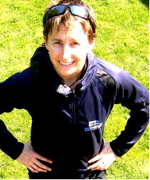 The Drop Jump is performed with hands on hips, so there is no upper body contribution. The athlete starts by standing on top of a predetermined height (usually a bench, which is typically 18” off the ground). They step off the bench, drop to the floor, and upon landing, attempt to immediately “rebound” back up in the air as quickly and as high as possible. Ideally, both jump height and contact time on the ground are taken into account. This requires a piece of equipment like a Just Jump Mat, which calculates both metrics. By looking at the height of the drop jump, the time spent on the ground, and also a metric called Reactive Strength Index (RSI), we can begin to see how reactive or elastic they are. The third vertical jump variation is called the Non Counter Movement Jump. This is also performed with hands on hips to minimize the upper body contribution to the jump height. The athlete begins in a squatting position, slightly above parallel. They hold this position for :2, so as to negate any potential stored elastic energy. After the holding period, they rapidly jump upwards. The relative height of this jump will be indicative of their ability to produce force via concentric muscle action without any contribution from the stretch shortening cycle. This variation will be most influenced by strength development. Once you have all three metrics; Vertical Jump, Drop Jump (Ht., Ct. time, and corresponding RSI), and Non Counter Movement, you can begin to compare and contrast the differences. Counter Movement Jump should always be the highest. Assuming the athlete has a respectable score (different for different populations, but with my college hockey players, this is ~28”), looking at which of the other two jumps has the closest height to the CMJ will be very telling. If the NCM is within 90% of the Counter Movement, but the Drop Jump height is below that, you are dealing with an athlete who would benefit from more short contact type plyometrics, in order to improve their elastic qualities. 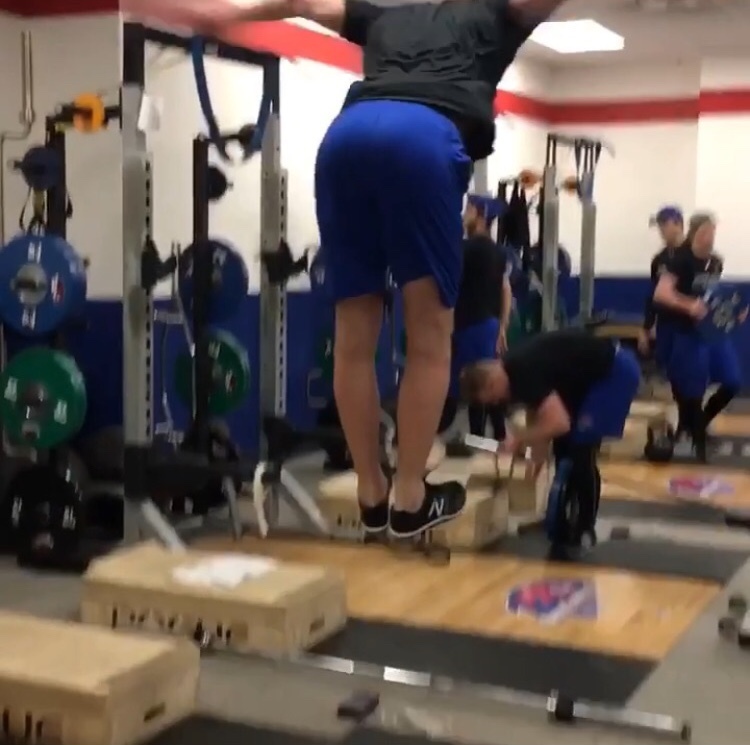 On the other hand, if the DJ height is within 90% of the CMJ, but the NCM is relatively low, this athlete probably utilizes the SSC very well, but would benefit from more muscular force application techniques, such as loaded box jumps that don’t utilize elastic energy. The last piece to look at is the contact time and RSI from the drop jump. The speed of the contact time is directly related to the ability to utilize the SSC. If a hockey athlete has a contact time above .4 seconds, they aren’t showcasing an ability to use elastic energy. If the jump is slow, but they achieve a respectable height, they are using muscular force as their preferred strategy. If the jump is .2-.4, but not very high, they are using the SSC, but it is not able to generate much in the way of force. As you can see, there is some individual interpretation that is required, but the jump profile will begin to paint a more detailed picture of how your athletes perform. Jump profiling is just one of many player monitoring strategies that can be used to individualize training prescriptions for athletes within a team setting. 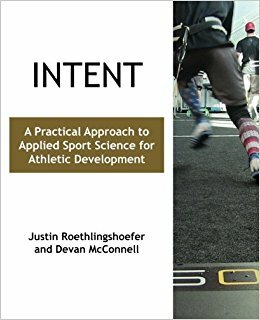 I go much more in-depth into my jump profiling system, as well as player monitoring and sport science, and how to develop a holistic system that takes many factors into account in my new book Intent: A Practical Approach to Applied Sport Science for Athletic Development. In addition to outlining a comprehensive monitoring philosophy, the book also shares a number of low-budget resources so you can start collecting actionable data without overhauling your budget. 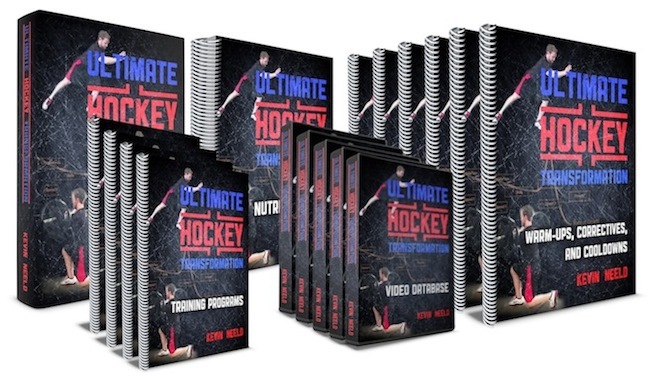 Please enter your first name and email below to sign up for my FREE Sports Performance and Hockey Training Newsletter!